With their parent company originally established in 1976 in Japan; IAI America got their start in their American Headquarters in 1989. Since that American establishment they have opened another headquarters in Torrance, California that first opened their doors in December of the year 2000. Using their many locations across the world including offices in Germany, Thailand, Singapore, Korea as well as many others, they are able to service customers wherever they may need assistance. IAI America has made it their mission to ensure that they are providing the highest quality and most innovative linear actuator parts and products to their customers around the world. IAI America has skilled technicians and engineers that possess the knowhow and the capability to design any custom linear actuator system. Their designers will work closely with you using CAD (Computer-Aided Design) to develop a custom designed system that will provide you with a lasting value long into the future. 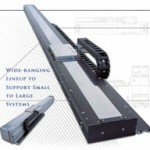 The linear actuator product that IAI offers provide complete system integration and will easily fit with other components, in turn enabling your business to get back on its feet sooner. 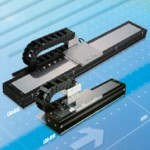 All of the linear actuators that IAI America manufactures are fabricated to be cost effective while maintaining their high levels of performance. As a world leading, linear actuator manufacturing company it is really no surprise why people around the world choose IAI America. Using their technological prowess and innovational expertise they have become a titan of industry, producing over half of all the linear actuators sold in Japan. Using these attributes they continue to win over customers around the world. Visit their website today or get in touch with their customer service representatives via telephone or email to learn more about their company and how you may benefit from their exceptional skills and services.